In 1952, Bill Thornton, Jr., along with his father, Bill Thornton, Sr. founded the commercial construction company, Thornton Construction Company, Inc. Since redirecting the company’s expertise to residential development in 1988, Thornton Construction has completed over 3,000 Birmingham homes and has continued to build commercial projects. In the last decade alone, Thornton Construction has been singled out for numerous Parade of Homes, National Association of Home Builders Institute of Residential Marketing, and Builder Magazine awards. As evidence of its success, in 2004 Thornton Construction was the featured business in Forbes Magazine’s Outlook Alabama: Business Profile segment. 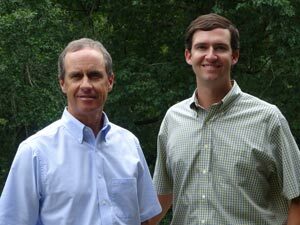 Today, the 3rd and 4th generation, the father and son team of Jim and Christopher Thornton, oversee every aspect of the family business with the same honest, hands-on approach that has sustained the company for more than 60 years. Nothing is left to chance – from the layout of home sites, to the selection of the latest finishes and products, each decision is made to preserve the environment and create the most natural and authentic homes in the market today.